After deliberating for a couple of days, jurors found Kelly Mathis guilty in the Allied Veterans of the World Scandal. Mathis is a well-known attorney in Jacksonville FL. He was “charged with operating a gambling network under the guise of a veterans’ charity [and] was found guilty of racketeering and several other charges on Friday.” Mathis was originally facing over 150 criminal charges. After the prosecution rested its case, Judge Kenneth Lester threw out approximately a third of those counts. 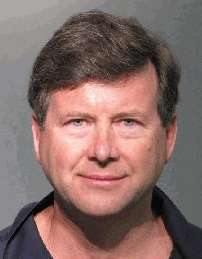 Read Jacksonville FL Lawyers Criminal Case Continues After Judges Ruling for more information. The remaining counts went to the jury. The jury found Mathis guilty of “104 counts, including racketeering, conspiracy, helping run a lottery and possessing slot machines.” Mathis was found not guilty of only one count, conspiracy. After the jury deliberated for 15 hours, the jurors appeared to agree with the prosecution and returned a guilty verdict. Mathis is going to be sentenced on February 12, 2014. He will remain out of custody until then. As a Jacksonville criminal lawyer, I think that it is strange that he is not being sentenced until 4 months after the verdict was returned. When a Jacksonville criminal attorney is preparing for trial, she talks to her client about the possibility that he or she could be taken into custody if a guilty verdict is returned. The more serious the crime, the more likely that the defendant will be taken into custody if you do not win the case. This did not happen to Mathis. This may be a good sign for him.